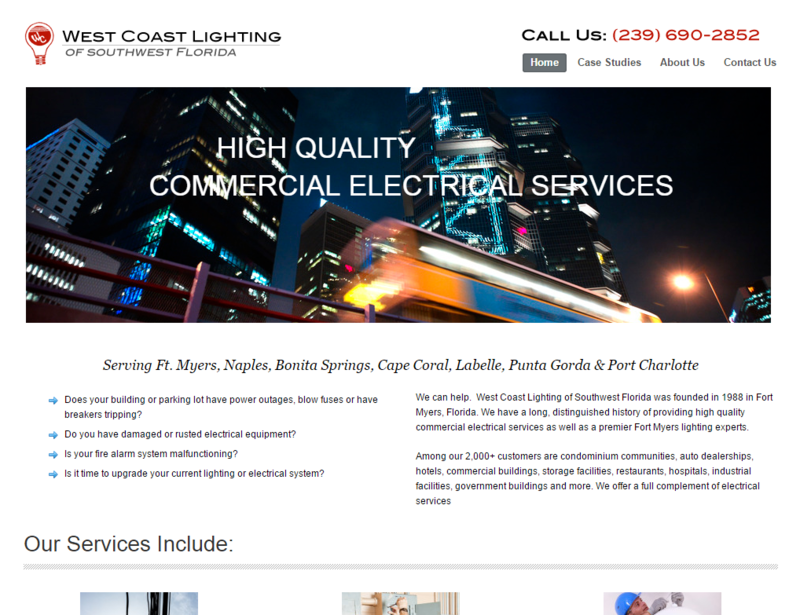 West Coast Lighting of Southwest Florida is a mid-sized contractor providing commercial electrical services in Fort Myers, Naples, Florida and surrounding towns. For over 25 years, WC Lighting had successfully provided electrical services in Southwest Florida. It had done little marketing, mostly depending on long established clients and word of mouth. 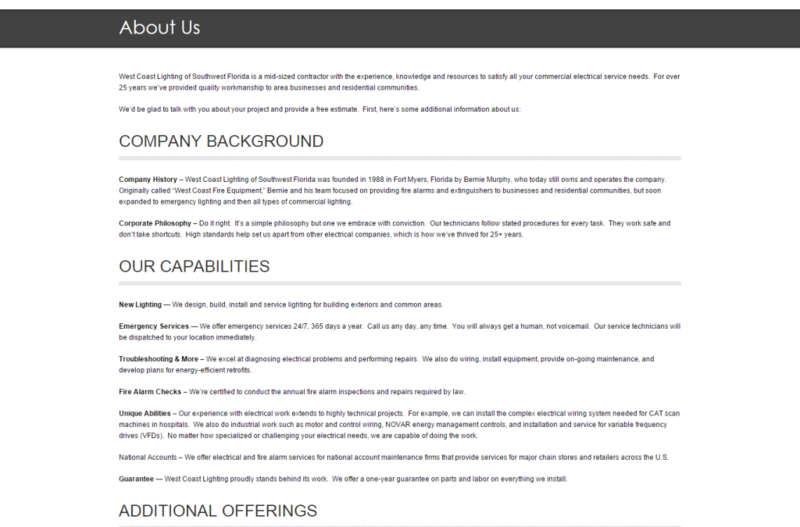 Reworking their company website was long overdue in positioning the company for the future. Susan Greene, website copywriter and marketing consultant, did an analysis of the company’s marketing needs and developed a plan for a new website. One of the key components was a series of case studies that demonstrated the level of experience and competence that WC Lighting was known for. When the new website was launched, the client was pleasantly surprised to find it was getting a continuous flow of new customer inquiries. WC Lighting also found that existing customers began hiring the company for other services that it had previously not known were offered. The result was a solid ROI in their new website. I really like what you’ve done with the copy for our new website. I think it looks great and sounds like what I was going for. Let’s chat about your marketing copy needs.